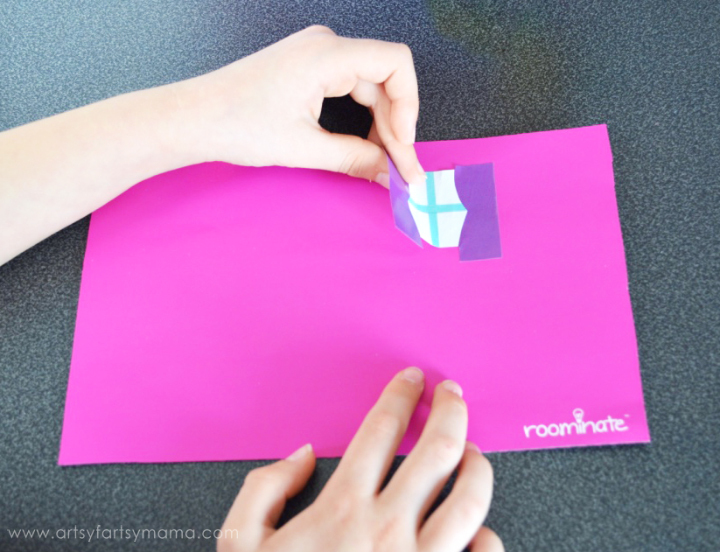 We first heard about Roominate on Shark Tank. I was immediately impressed. 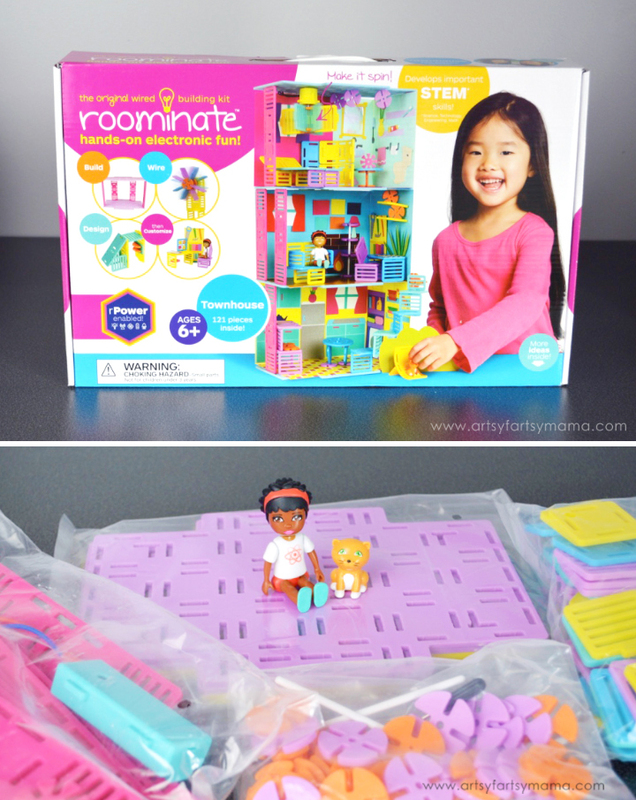 Roominate inspires the next generation of girls (and boys) to have fun with S.T.E.M., help develop hands-on problem solving and boost self-confidence, all while turning girls into creative engineers! 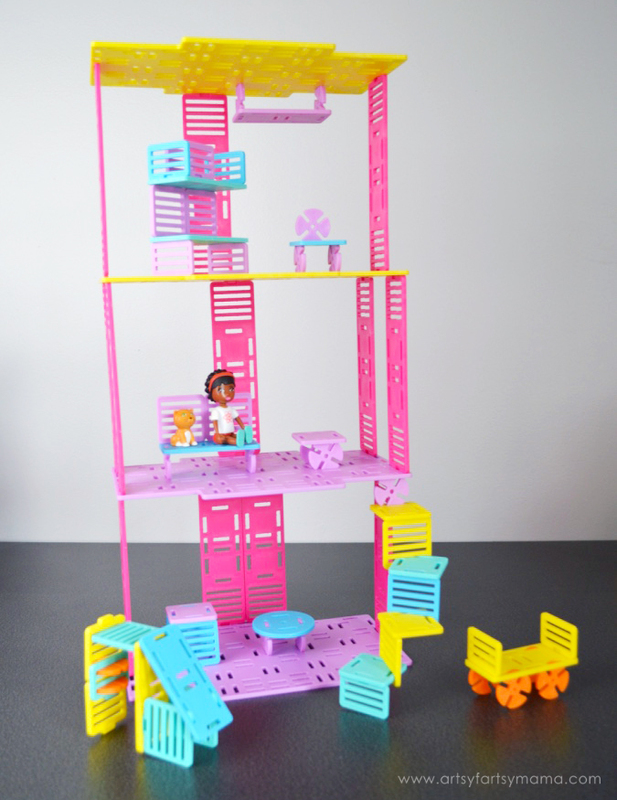 Using circuits, motors and modular building pieces, girls can build and create their own unique and original structures or vehicles that can be joined together or taken apart and remade into something completely new and different. 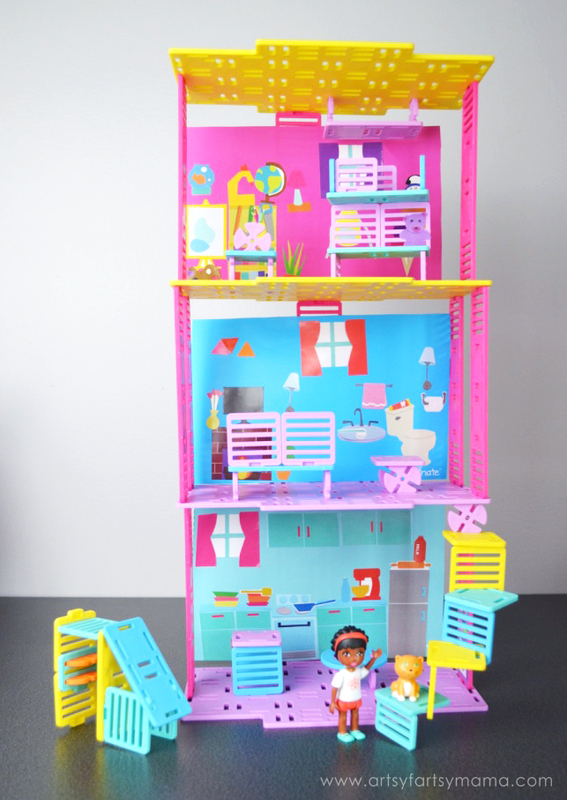 We built the Roominate Townhouse set, which includes pieces to construct a customized, cozy townhouse for the Roominate dolls. 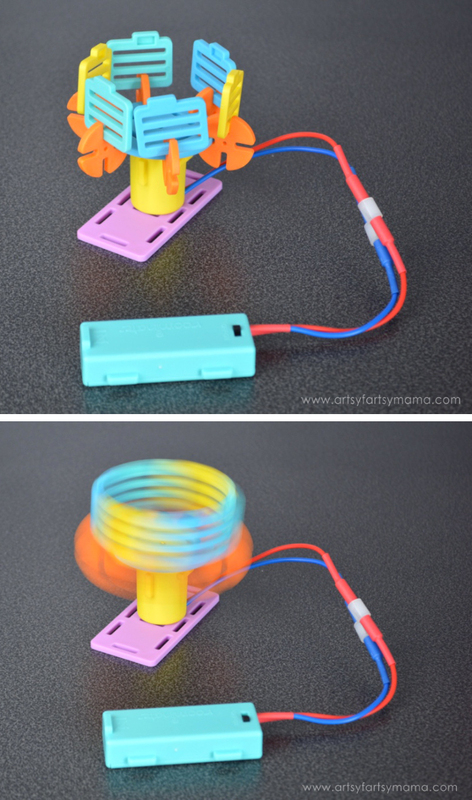 You can also put together circuits to create a spinning fan, merry-go-round, or whatever their imaginations can dream up. Compatible with rPower, you can also control the moving creations with your phone or tablet using the Roominate app! 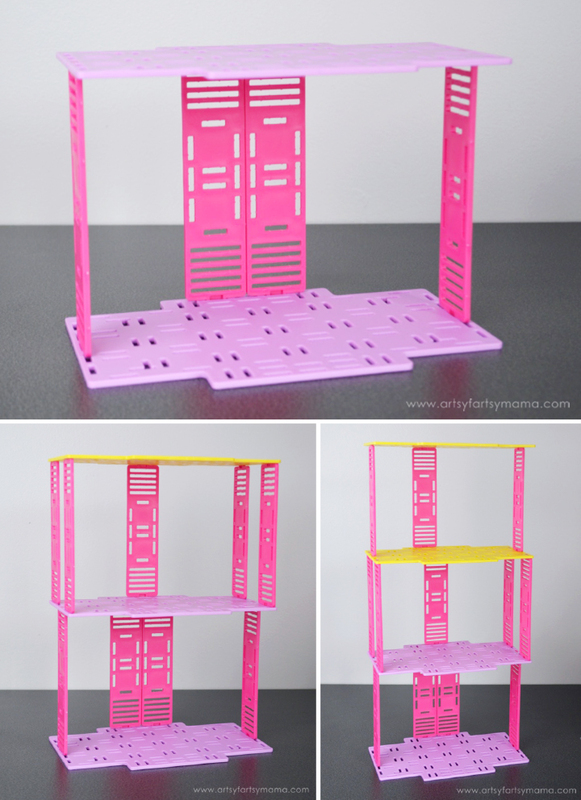 You can snap building pieces and connectors together to create all kinds of accessories and things for the Roominate dolls and their pets, like this slide we built! If you need a little more inspiration, check out these creative images and videos on how to Roominate! 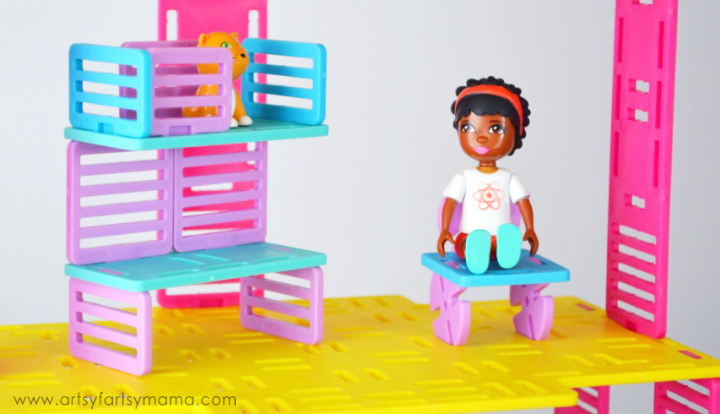 Besides being able to get creative and build her own dollhouse, Zoey was really excited that the doll that was included in the townhouse set was also named Zoey and also comes with a cat named Erwin! Zoey built them a bunk bed (with a guard rail in case little Erwin rolls out), and a little chair so they can "read stories and do projects". Here is the house and all the furniture built! We used almost every piece and were able to create something for a kitchen, living room, and bedroom, as well as a staircase, a car and a slide! The possibilities are endless, and I don't think you'll get the same outcome each time you rebuild the set. Their imagination is really the limit!! Zoey has been fascinated with basic circuitry, so it was really fun for her to have a way to put things all together herself and to figure out how to make the motor work. 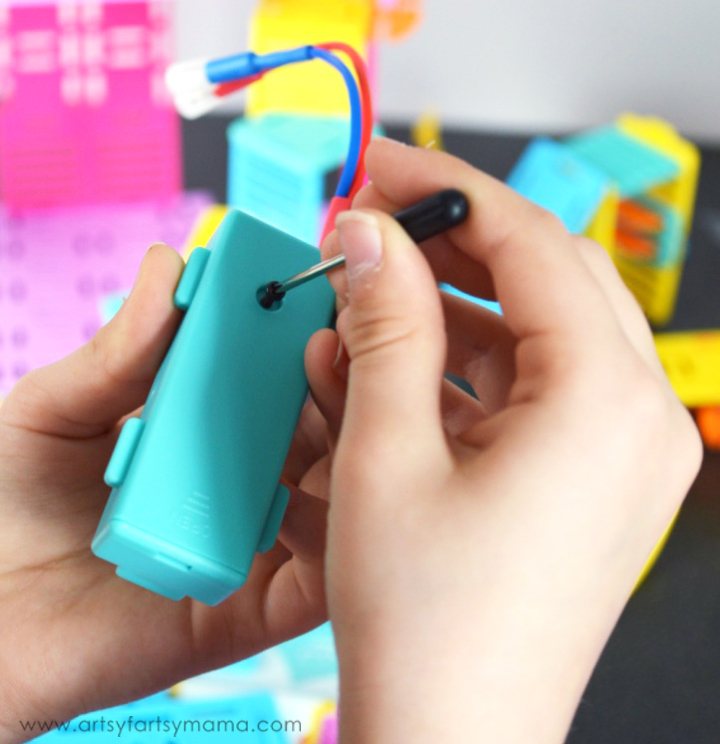 The set comes with a battery pack and a tiny screwdriver, which is perfect for little hands! The first moving thing she decided to build was a merry-go-round for Zoey and Erwin to ride on. Following the circuitry directions and a little experimenting with building pieces, she got the merry-go-round spinning! It was really fun as a parent to sit back and watch her try to figure things out, and it was especially gratifying to see her self-confidence improve! 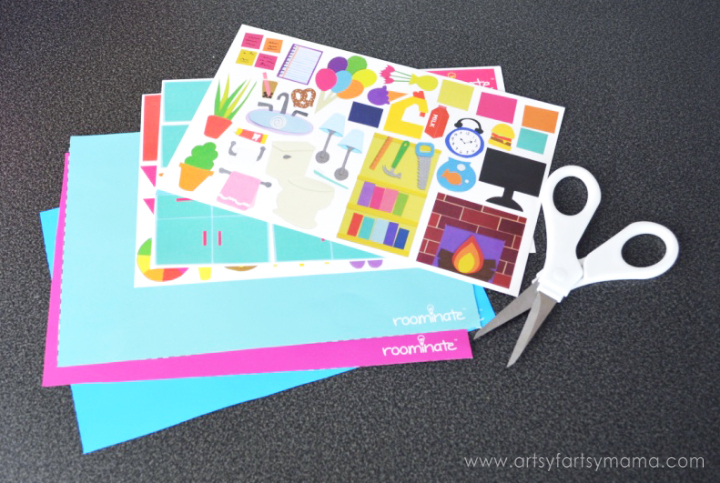 To personalize the townhouse even more, the set also includes 3 sheets of stickers and different wallpapers that you can cut out with scissors and place in the house to create walls. It's really fun for kids to place the stickers wherever they want on the wallpapers to create more of a homey feel for the Roominate dolls. In the stickers, there are curtained windows, kitchen cupboards and appliances, bathroom basics, and even more for living room and bedroom spaces. We stuck the wallpapers to the back columns with a bit of tape and the house was complete! This is one of my daughter's favorite things to play with right now, and it has been such a great experience for me as a parent to be able to encourage those S.T.E.M. skills and creativity. Most importantly, it builds her confidence and reinforces what we've been teaching her - that girls can be anything that they want to be!! This post is sponsored by Roominate. All opinions are my own. This is SUPER cool! I love toys like this. I just sent it to my brother for my niece. I am going to buy her one for her upcoming birthday! Oh my gosh!!!! I would have loved this. It's like Lego'ish, doolhouse, with a dash of Color Forms. My daughter would love this! It looks super fun!